English Martyrs Sixth Form has its own purpose-built College, designed to accommodate the needs of our highly successful sixth form. It provides accommodation and facilities to complement and support our academic achievements. The impressive building with an attractive atrium reception and lift to a first floor balcony, not only presents a new front to Catcote Road, but offers extra accommodation and teaching areas for up to 400 sixth form students. The college includes: A drama studio A dedicated ICT suite A ground floor library to serve the whole school Four business studies rooms with computers A suite of classrooms dedicated to the teaching of Law, Sociology and Psychology Out of lesson relaxation areas including a common room and a separate bistro, open 10.00 am - 2.15 pm. A Level courses include Biology, Business Studies, Computing, English, Fine Art, Music Technology, Performing Arts, Photography, Psychology and Sociology. 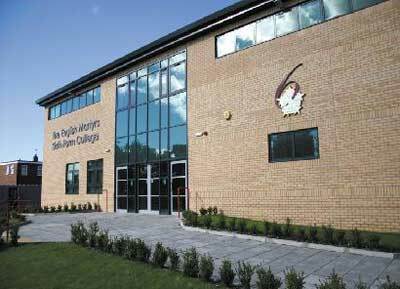 The college also offers BTEC awards in Business, Health and Social Care, Early Years and Sport and Exercise Science. For a full list visit the website. English Martyrs Sixth Form has its own purpose-built College, designed to accommodate the needs of our highly successful sixth form. It provides accommodation and facilities to complement and support our academic achievements.